A Bayfield ward councillor was one of three Bluewater council members who met with ministry officials at the recent ROMA conference to make a presentation on the Bayfield Bridge project. 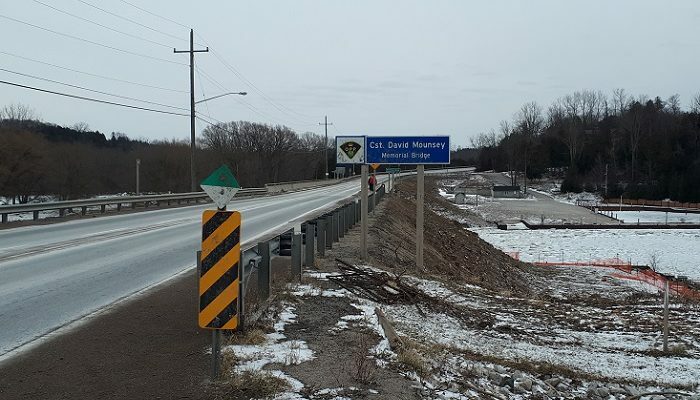 Bill Whetstone said the councillors expressed their concerns about the sidewalk along the bridge and leading to the village. The bridge is the main connection from the marina up to the village, and there is a lot of pedestrian traffic there. Whetstone said it’s important that the width of the sidewalk is maintained across the bridge and all the way up to the main street. He added lighting was another thing they felt was important as people come into the village. Whetstone said ministry officials committed to working with the municipality, especially on the final design. He adds it didn’t hurt that two of the ministry representatives were quite familiar with Bayfield and understood their concerns.